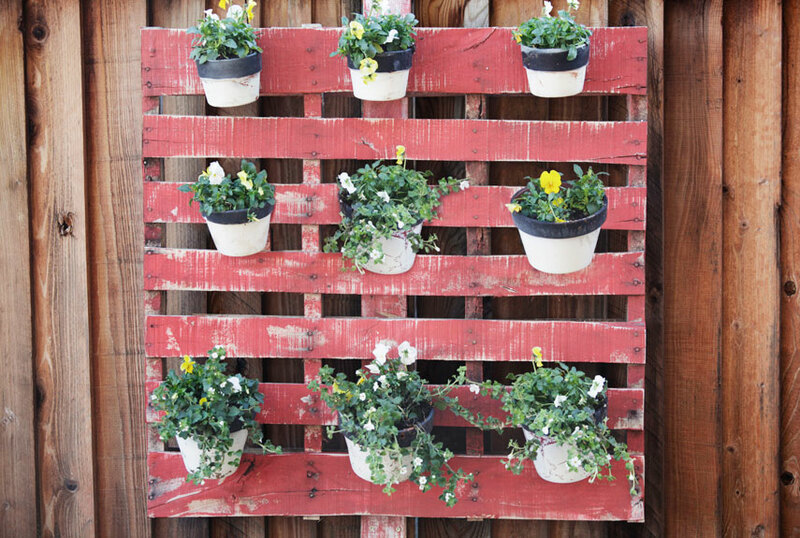 Have a blank wall or bare fence that needs a little something extra? A vertical garden could be a trendy, practical and easy solution to make use of your unused space or even to create more shade and privacy. A problem many avid gardeners face is simply not having enough room for the garden they dream of. 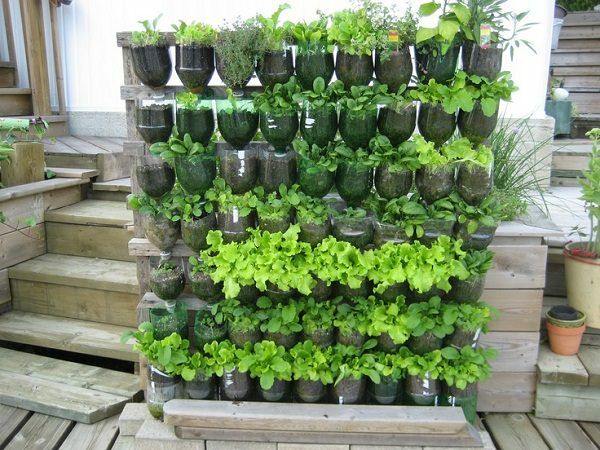 A vertical garden will increase growing space especially when you have a limited area to work with. By planting herbs and vegetables you can make these spaces even more useful. Although remembering that edible plants often require more watering and plants that are not planted in the ground will need a drink more often. To compensate for this add extra mulch and choose your vegetable and herb plant species carefully. 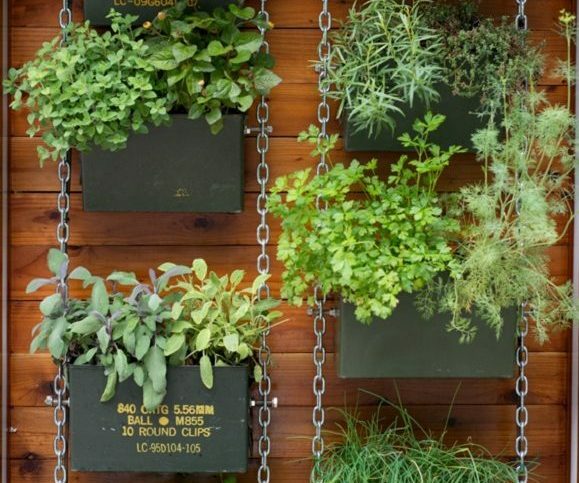 Vertical gardens can be a low cost and practical way of recycling -they can be made by reusing old materials that might already be lying around home. Mounting an old pallet onto your wall. Securing a potting box to the back of a piece of lattice. Using two-litre soda bottles cut in half and turned upside down, securing it them to a wooden frame and placed so they open neck of the bottle drains water into the one below. Stacking leftover bricks with the hole facing forward make the perfect potting holes to fill with short rooted plants, which need little soil – such as succulents. 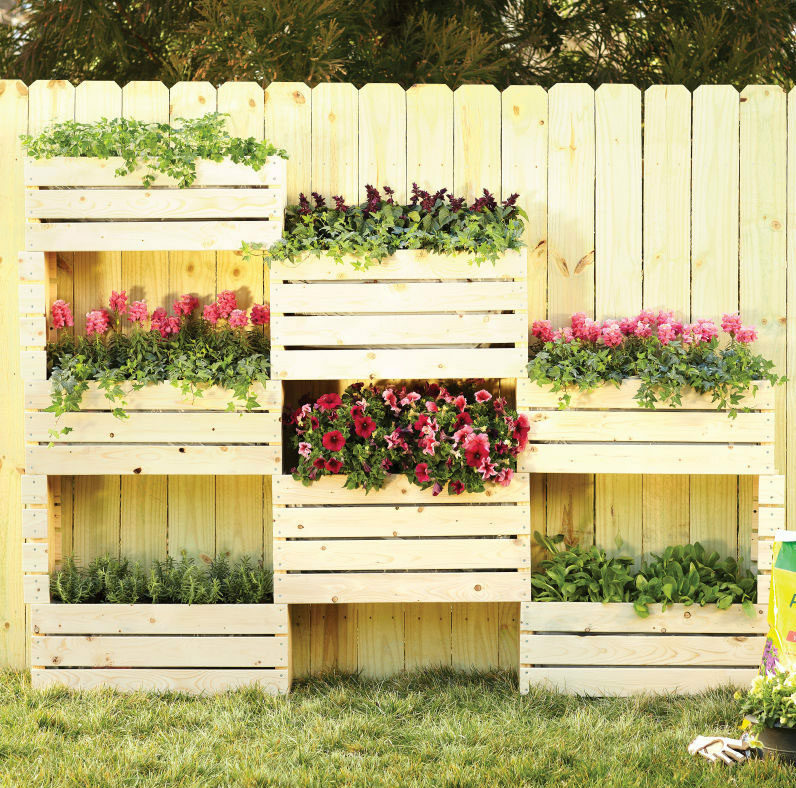 A vertical garden means your plants will be up and off the ground. So if you have pets that love to dig up and play in your gardens or pesky possums who trouble your well-tended garden. Making your vertical garden hard to reach will minimize the likelihood of cheeky pets or troublesome wildlife causing a mess and damaging plants. Getting plants up and off the ground also improves air circulation, which means healthier plants and less disease problems. Through putting special consideration into choosing your plant species, a vertical garden can require very little maintenance. 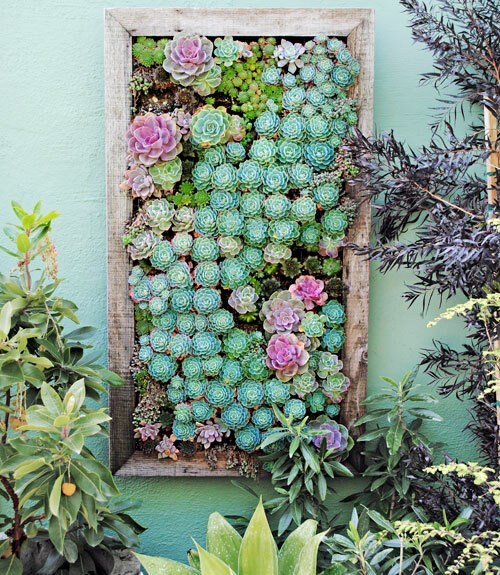 Succulents are perfect for a no fuss vertical garden, and look amazing. They grow in small amounts of soil and maximum amount of sunshine, and need little moisture to stay healthy. Plants improve both indoor and outdoor air quality by removing harmful VOCs (volatile organic compounds) and absorbing pollutants. So growing plants vertically even in compact spaces like windowsills, balconies, front entrances and hanging in aerial space will make a big difference to your health, allowing you to enjoy fresher, cleaner air. 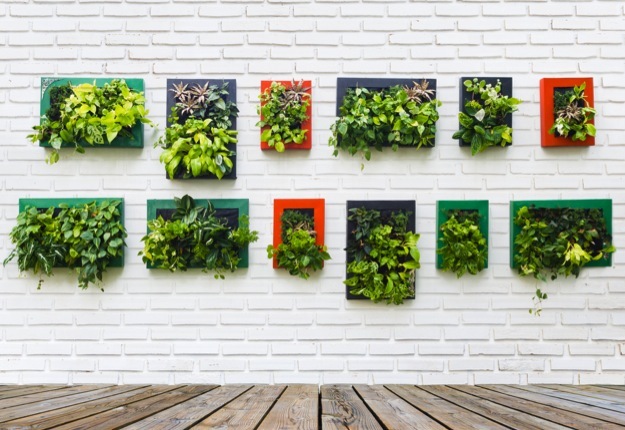 Adding a vertical garden to your outdoor area will also cool the space down. This is because plants and greenery act as a natural insulator, which is perfect for hot Brisbane summers. If you have a vision for your own vertical garden Circle Maintenance can help you bring it to life. Our team will provide expert advice on material selection, plant selection, and your overall yard scope – bringing you a beautiful garden.